Online ordering menu for O'sae Sushi Ramen Bistro. 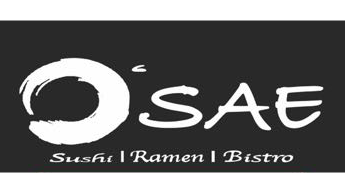 Welcome to O`sae Sushi Ramen Bistro, where you can find delicious Sushi, Ramen, Indonesia food and more! Try one of our specialty Sashimi such as Rainbow Sashimi, Go Albacore or the Hamachi Tiradito. Don`t forget to check our taste of Indonesia and O`sae Ramen and Udon. We are located at the corner of Peterson and Palmer Park Blvd. We are 1 mile away from Walmart super center here in Palmer Park, and 15 minutes from Colorado Spring Airport. Order online today for takeout now.